Jaziel, 18, from Arizona, born in Mexico. My family is my safe haven. My family stood by my side through my worst days. As a child, I went through something no child should ever go through. I was diagnosed with cancer. Having to live with this disease was difficult; constantly being hospitalized, ill and not being able to interact with my own family due to how weak my own body was. What my family did teach me was that no matter how challenging your situation is, never give up. Even though I was pronounced dead at a certain point, my parents fought for me to live. I am not only a one-time cancer survivor, but a three-time survivor, and I am extremely blessed for that. I came to America at age one. Growing up in America provides an individual with endless possibilities to grow and succeed. I began to view America as my home the moment I stepped into my pre-school. I felt comfortable with each and every individual in my class. Remaining in the United States throughout the years has been extremely important to me because of all the opportunities it has granted me. The United States is my home. Higher education for DREAMers is extremely important. We have so many attributes that many other students don’t possess. Such as bilingualism, overcoming challenges due to our legal status, and having the ambition to succeed. I came to Phoenix College because of their extremely successful nursing program. My goal in life is to be a Pediatric Oncology nurse and provide advice to those who are going through what I went through as a child. I believe I have what it takes to work in this field and be an inspiration for young children battling cancer. My long-term goal is to have my own charity where all proceeds are given directly to Phoenix Children’s Hospital to help families in need. I know that I will never be able to repay my family for all the life values they have taught me and all those rough nights they stood by my side. 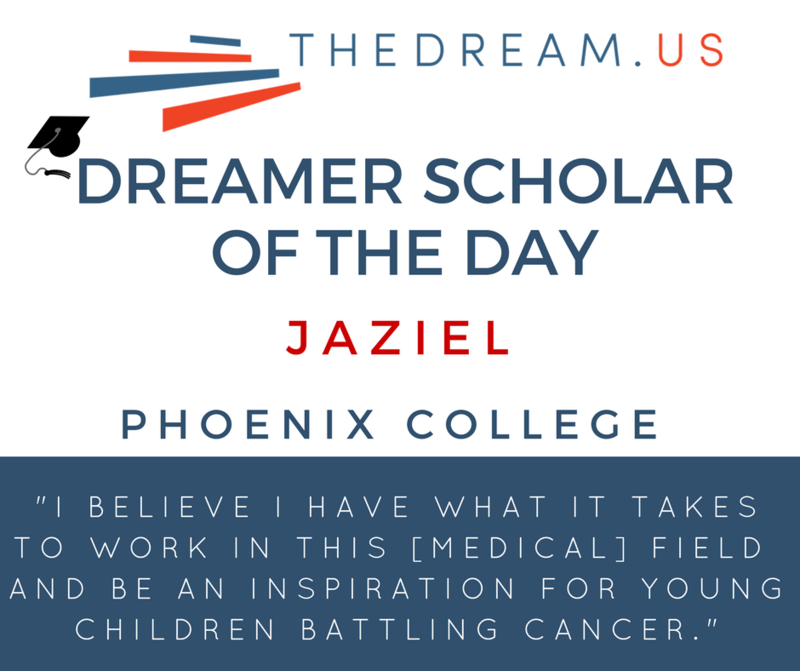 What I do know is that, thanks to them and opportunities that encourage higher education for DREAMers, I am now pursuing my dream of becoming a Pediatric Oncology nurse and being able to nurture other children who are battling cancer.